Many times we seek online document converters that could convert the different and daily used file formats to a PDF file. We equally may have noticed how that PDFs can be both relieving and complex at the same time. 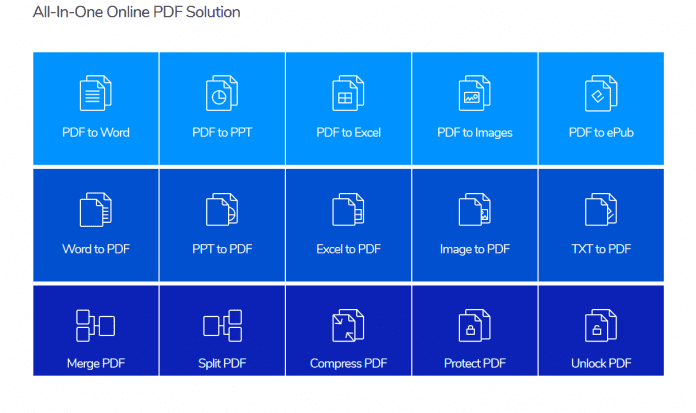 The PDF files makes it easy and secure to share documents with others but also very difficult to manipulate the files hence, causing mixed feelings when it comes to PDFs. So I became excited upon the discovery of Hipdf because, as is experienced with many of the free or cheap PDF editors found online, they don’t work properly and the ones that do work cost so much and this has been a big issue. Interestingly, Hipdf allows one to create, edit, convert, merge, split, sign, review and password-protect files and it is completely free of charge! Added to these, its service does not employ any ads therefore, for anyone who deals with PDFs, it becomes an essential tool. Look through this article thoroughly and find out for yourself details about the great services of Hipdf then, take your decision to give it a try and you’ll be glad you did. It is an online web-based document to PDF converter software. It has the ability to convert and create PDF from various types of files like Word DOC, Excel XLS, PowerPoint PPT etc. And as is already mentioned, Hipdf is a comprehensive tool for PDF files’ management that can be used in creating, editing, converting, merging, splitting, signing, reviewing and protecting files with password. It is worthy of note that Hipdf app is a web app, as such it will not only work on all the desktop operating systems but, also on tablets and smartphones, this becomes useful in the event that one wants to do a quick PDF manipulation with them. And as earlier stated, it feels really good to know that it does not support ads and is completely free. This is how Hipdf Works. Once you are on their website and you upload your files, they apply your manipulations and then allow you download the edited file. After one hour of your uploading the files, they are deleted from the company’s server. This is a measure employed to help curb the concern of ‘data theft’ which is a major challenge with other online services. This is one good reason you would prefer using Hipdf to any other such services. 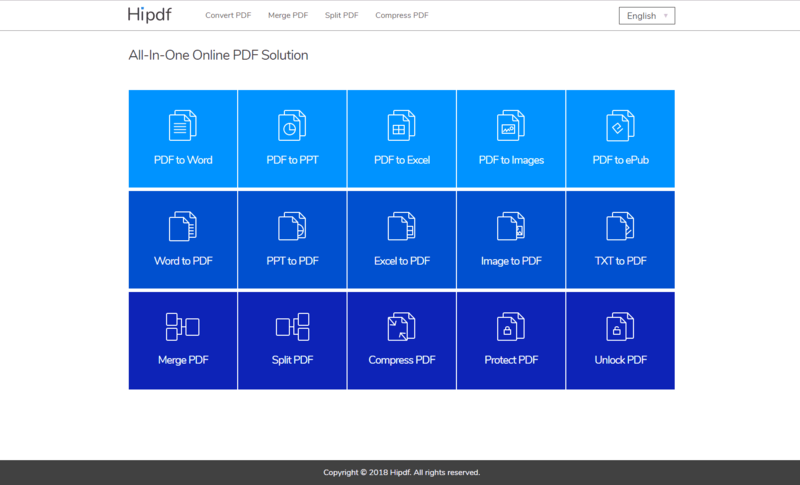 Upon examining some of the other online PDF tools available, one will notice how that they oftentimes troubleshoot and some don’t even live up to what they profess but, this is not the case with Hipdf. Whatever kind of document or file one is working on; heading style, full of graphics, fiddly formatting, etc. Hipdf is your best bet. Let us take a look at a few comparative differences between Hipdf and some other online PDF tools. Some of the online PDF converters that claim to be free are not really free. An example is the famous freepdfconverter which unknown to many only converts the first two pages for free. So for a conversion to be completed, the user will need to sign up and use the paid service. On the contrary, Hipdf’s service is free from start to finish. 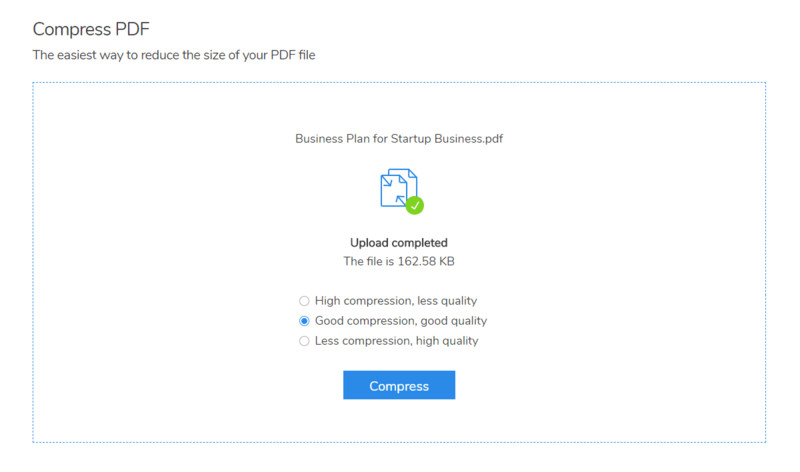 Some other limitations present on some of the other services like Smallpdf is allowing users to do only two tasks per hour for free. This is not so with Hipdf. Services like Ilovepdf, Smallpdf, pdf2doc.com and several others all have annoying ads whereas, Hipdf does not support any ads. Many services are not very secure to work with as the user’s data is retained after uploading but with Hipdf, data is deleted after an hour of the upload. While Hipdf only allows file upload of a maximum of 10MB per time, some other services could allow for more. This could be a challenge when working on really huge files. Hipdf is quite easy to use and as stated before, all that is essentially needed is to upload your PDF files, perform your manipulations and download the edited files. Let us now take a look at how this can be done. To do this, simply open to the Hipdf website and click on the file format you want to covert to. Then on the next page, you may click on the ‘Choose file’ button to open a file navigator window or you can just drag and drop files. Usually, Hipdf will take a moment to upload and convert the files before giving you an option to download them. One can comfortably use this process to convert from PDF to any other file format and vice versa. 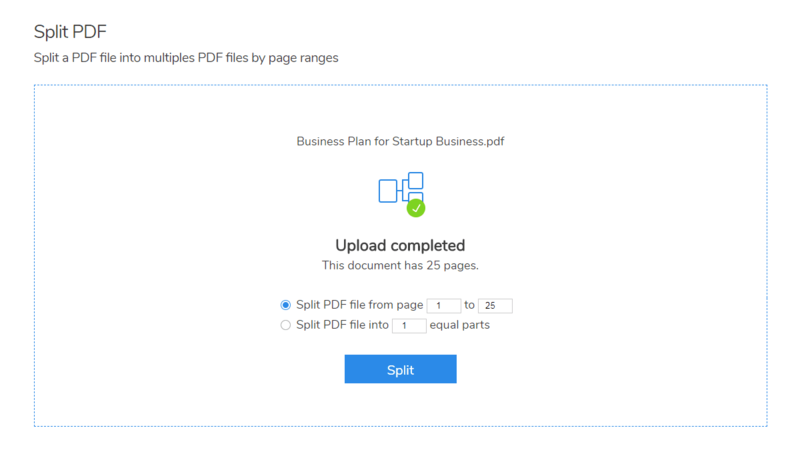 Simply click on the Split PDF menu, drag and drop the files that you intend to split, select how you desire to split your PDF file then click on the ‘split’ button. This will only take a few moments to be concluded after which you can then click on the ‘download’ button to download the split files. Once uploading is done, look out for the ‘merge’ button on the website and then click on it to merge the files. On the next page, click the ‘download file’ button to download the merged files. To achieve this, click on the Compress PDF then drag and drop the PDF files that you would want to compress. This will present you with three compression options so you make your choice of that which suits your needs. Finally, click on the ‘compress’ button to compress the files. Hipdf can be accessed easily from anywhere there’s an internet connection just by visiting its website. It operates fully in the cloud as such, your computer’s resources is not used when converting the file. Its simplified design also enables anyone to easily convert PDF files even without prior experience. Plus there are no ads on it and it is also an online tool with no cost at all; there are no paywall restrictions and all operations on the website are free. Though mobile site works, it is not very responsive. 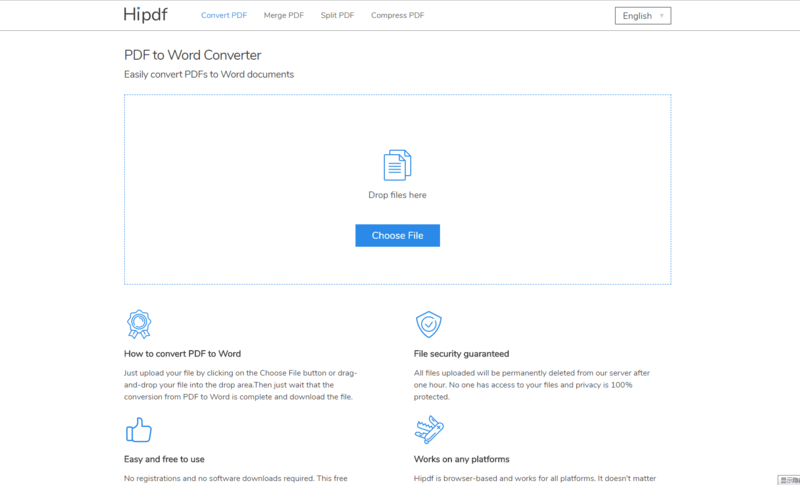 Hipdf is one of the best online PDF Conversion tools available and it is highly recommended because it is a great tool that can be used to easily convert and edit your PDF files. Plus it is free and secure as it doesn’t store up any of your data.